Microsoft's Zune HD offers some useful features that could make it compelling -- for some users. What is it? The Zune HD comes in 16GB and 32GB versions, for US$220 and $290, respectively. Overall, it is roughly .3 inches narrower and shorter than the iPod Touch and just a hair thicker. It also is noticeably lighter (2.6 ounces vs. 4.05 ounces). It has a 3.3-inch organic light-emitting diode ( OLED ) display (compared to the 3.5-inch display on the iPod Touch). The Zune HD is tightly linked to Microsoft's iTunes equivalent, Zune Marketplace. Unlike iTunes, which operates on a song-by-song basis, Zune Marketplace offers a subscription service (Zune Pass) for about $15 a month, with which you can download and listen to as much music as you want, as long as you keep paying the monthly fee. How does it work? Perhaps because I'm not used to handling such a light device, the device felt a bit flimsy to me at first. And the plastic display cover, undoubtedly selected to save weight and money, showed fingerprints far more readily than devices with glass display covers. Like the iPod Touch and iPhone, the Zune HD has two primary buttons, one on the top that turns the device on and off, and one below the display to return to the home screen. It also has rocker buttons on the left edge of the device for controlling playback. The Zune HD's multi-touch interface is very similar to Apple's. You move to a new screen or scroll up or down by flicking a finger, and you zoom in or out with pinch motions. The device seamlessly switches between portrait and landscape modes when you rotate the device 90 degrees. Playback quality for audio and video is exemplary. Sound quality is clear and video (and still images) are bright, well defined and richly colored. For some, the Zune Pass subscription service, which lets you download and listen to all the music you want, will be compelling, even though services such as Rhapsody (owned by Real Networks) and Napster (owned by Best Buy) haven't garnered nearly as many customers as iTunes. The device's Wi-Fi capabilities are helpful. Perhaps the best wireless feature is that Zune Pass subscribers can stream music wirelessly from the service. That means you can, for instance, sit in a coffee shop and endlessly try new music. A nice feature is the Zune HD's ability to sync wirelessly with your PC, a trick that no iPod yet matches. However, I found the wireless sync feature a bit clumsy. First, I had to switch on Zune's wireless sync capability, which required me to dive four layers deep into Zune's menu structure. Then, in the PC interface, I had to drag items to an icon. In other words, I had to be near the PC to sync wirelessly, so the main advantage of this feature is simply that you don't have to physically connect a cable. Unlike the iPod Touch, the Zune HD has a FM radio, which will be a big plus for some. 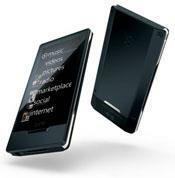 Better still, the device also supports HD radio technology; a number of channels are available free to Zune owners. Another powerful feature -- potentially -- is that, with the purchase of a $90 HDMI dock, you can play high-def movies acquired from Zune Marketplace through high-definition television. On the down side, you can play back the content only at 720p, which is the highest resolution the Zune HD supports. What needs to be fixed? While Zune HD is very solid for music and video, it still is missing a lot compared to its primary competitor from Apple. For instance, it doesn't come with built-in e-mail, contact and schedule applications. Even more glaring, it doesn't have the thousands of applications available for the Touch or iPhone. There is an applications section of the Zune Marketplace, but at this early stage, the apps were quite rudimentary (such as a calculator and simple games) and I counted the available apps on my fingers. The final verdict: If you need a high-end player primarily for music and video, Zune HD is a strong alternative to the iPod Touch. It's even more compelling if you appreciate using a music subscription service, particularly since you can use it to wirelessly stream virtually any music wherever a Wi-Fi connection is available. Many users will also like the fact that the device is smaller, lighter and less expensive than its competition. And its wireless sync capability offers a modicum of convenience. However, the iPod Touch offers far more built-in applications and the number of add-on applications available from the Apple App Store is staggering. These add-on capabilities make the iPod more like a little computer and not merely a media playback device. For those who need that power, the iPod is a better choice. David Haskin is a freelance writer specializing in mobile and wireless issues.